I can honestly tell you, as a young 20-year-old mother, all those years ago, I didn’t understand the importance of birthing in a ceremonial way. Like many women living in Albuquerque, I had planned a hospital birth with my first child. I took all the necessary classes to prepare for labor and birth. We learned about breathing through contractions and what active labor looks like and when to go to the hospital in childbirth classes. We were shown forceps and vacuums-all tools used to “assist” the baby if it needed help birthing. I also remembered hearing stories from my Dine’ family back home that it was our costume to bring our placenta home and bury it. Immediately I thought, where does it get buried? Who barriers it? My grandmother had passed on by then, so she couldn’t take it home? So what was I going to do with it? Is my mom supposed to bury it? is she going to come to my birth and take it home for me? How do I tell the nurse that I want to save it? Can I tell the nurse I want to save? Will they let me save it? Well, the birth of my daughter was quiet an event and by the time she was out and I was holding her, the birthing table that held my placenta was whisked out of the room. I never even had a chance to tell them to save it for me. The next day I asked the nurses what they do with the placenta’s following birth, they said it becomes biomedical waste. At that point, I figured my opportunity to bring it home was lost. Having missed my opportunity to take my placenta home all those years back. It’s become a priority to ask Native Indigenous women today if they want to take their placenta’s home. Or at least to have a discussion about their cultural beliefs around their placenta’s. It’s also pushed me to dig deeper into the teachings surrounding our Dine’ placenta ceremonies. Why is it important to take it home and bury it? If you were to read about placenta teachings, dominant modern day culture might refer to our way of taking care of it as a ritual, when really it is a us following pre-established cultural construct of the human body and personhood, that is governed by the Holy People. It is our responsibility as parents and family members to guide our children through each cultural developmental step towards personhood in the Navajo world. 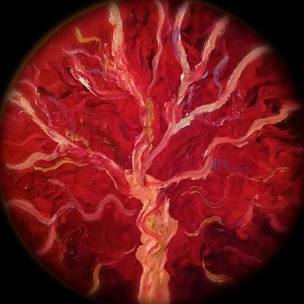 Burring the placenta,-a life organ-in the ground, is done so it can become one with Mother Earth. Mother Earth is our life force. Care is taken with the placenta because connection remains between the child and it. Where to bury the placenta? Buried 2 to 3 feet deep north of the Hogan, under an ash pile. It’s important that it is placed somewhere animals can’t get to it, otherwise spiritual harm and sickness could occur to the baby. Who is supposed to bury the Placenta? Different families have different roles and responsibilities. I have heard that the father and the grandmother are supposed to take the placenta and bury it. I have heard it’s the mother’s responsibility to take it and bury it. I have heard it’s the midwives’ responsibility to take it and bury it. How soon should I take the placenta and bury it? I have also heard that there isn’t a time frame. Many Native Indigenous women birth in hospital these day’s and if your fortunate, the hospital near you is already aware of this cultural practice. But remember, not all Native Indigenous women live on or near their reservations/communities. So that means you might have to do a little extra work to advocate for your cultural right to take your placenta home. Anyone who has received care in a busy clinic will know, your prenatal visit might only be 15 minutes. I want to stress how important it is for you to have this conversation with your doctor or midwife prior to your birth. Being forth coming about what you want in regards to taking your placenta home is part of the communication everyone should take advantage of. 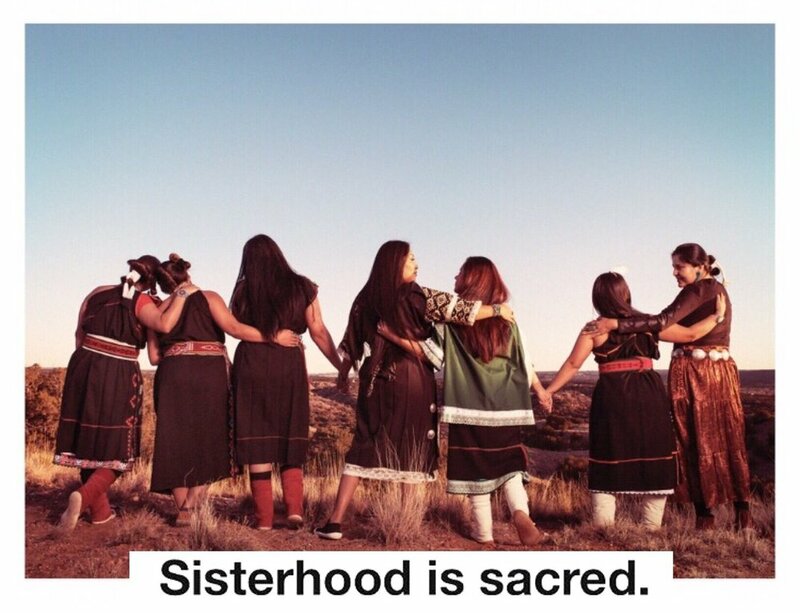 Many doctors and midwives serving Native American women come from other cultures and places, they also might only get a 15 min cultural sensitivity training via slideshow or video about the community they are serving when they get hired. Many don’t even get that and it ‘s a lot of on the job learning for them. It’s also important to talk about when your placenta might NOT be sent home with you. Sometimes when infection occurres in labor or the baby didn’t grow well in the uterus, the doctor or midwife might want to send your placenta to pathology to be looked at closer for answers, following the birth. You do have a right to refuse this, that placenta was apart of you and you have every right to decide where it goes. 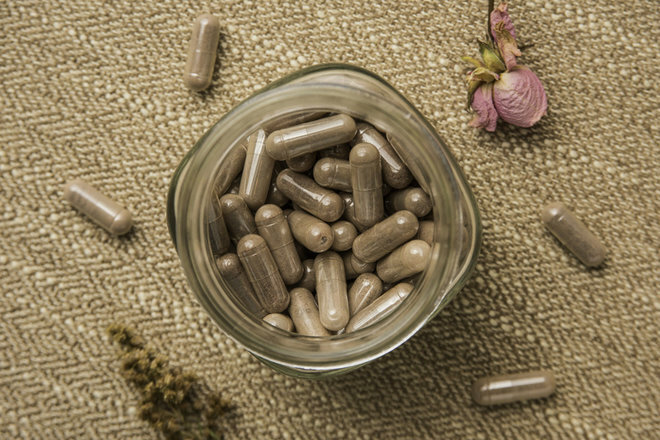 Placenta encapsulation: is the practice of ingesting the placenta after it has been steamed, dehydrated, ground, and placed into pills. People who support eating the placenta say that it can raise your energy and breast milk quantity. They also say it can level off your hormones, lowering your chances of postpartum depression and insomnia. Who Prepares your Placenta for you? Some doula’s will provide this service as part of their care and work with you. However, not everyone is trained to do it. What I have seen in practice is, once a mother has delivered her baby and placenta, she will tell the nurse to save her placenta-making sure to tell them (nursing staff) NOT to put it in any chemical solution (which they do sometimes). Nurses can put it in a biohazard bag or bucket with your name on it and place it in a fridge near by. Within hours of giving birth, the doula (if she offers this) will take it with her to start the process of making it into pills for you. Or-if the person in charge of encapsulating your placenta is not your doula, they will come the same day of birth to get your placenta-to start the encapsulating process. Returning again to the idea of bringing up a child in the Navajo world, placing the dried umbilical cord in a place that is considered most beneficial to the child’s future. 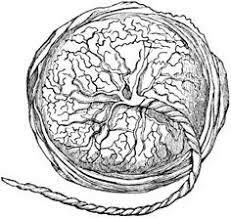 “Umbilical cords were intended to be buried because this “anchors the baby to the earth” (Knoki-Wilson, 8/10/92). Baring the umbilical cord in the Earth establishes lifelong connection between the baby and the place. Just as the cord anchors the child to its mother, it has established a life-long connection to the mother and the baby, burring it establishes lifelong connection to the place. In the Navajo world, we recognize the importance of traditional skills like herding skills and weaving. Burying the cord in a field or in corrals for boys or under a loom or door way in the house for a girl- are considered steps in the direction of personhood, to ensure our children are being shaped in the Dine’ way. When should I bury the umbilical cord? Burial of cord occurs right after it falls off. Where it should be buried? Regardless of where the cord is placed, it’s important it is placed somewhere of importance, and not lost or left somewhere inside the home. Culture is fluid and evolving, even as I listen and sometimes read about these teachings, they are different depending on what the practice is there. Even traditional customs can be slightly different from east to west. From over the mountain to the valley’s,-teachings can be different. It is for this reason I ask expecting women to go back to their communities and ask them what they do for these things. I can guide that process, but really it is also another step in their parenting to learn these things. Seek out the knowledge, offer tobacco or corn pollen for those teachings to come forth for them. Navigating cultural knowledge and adhering to protocols for many begins with offering and asking through prayer first. These teachings are gifts and treating them as such, preserves the richness and respect they deserve. But also it teaches a level of humbleness and patience, in gathering this knowledge for yourself and then being responsible for it, once you have it. That in itself is a traditional teaching. That is how you honor ancestral knowledge.